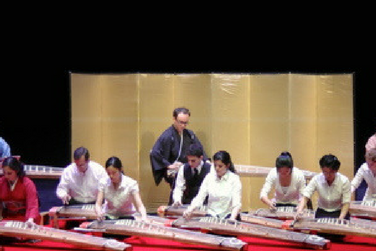 This annual concert features music played on the koto, a traditional Japanese 13-string instrument. Known as sōkyoku, koto music highlights the quiet beauty, simplicity and harmonizing effect of Japanese nature. The Japanese Koto Ensemble is made up of graduate and undergraduate students, and courses are designed to give students the opportunity to experience Japanese cultural aesthetics as exemplified in the traditions of koto and shakuhachi music. This concert is a joint venture with the Washington Toho Koto Society, a nonprofit group of koto players and friends, primarily from the Washington D.C. metropolitan area.